Dragon-glass is the common name in Westeros for the substance known as obsidian, a form of volcanic glass resulting from a Dragon’s fire scorching the earth. 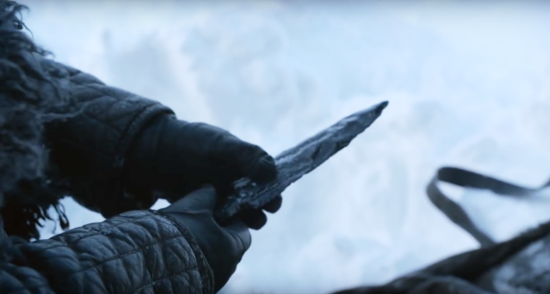 Along with Valyrian steel, Dragon-glass is one of only two known substances capable of killing White Walkers. 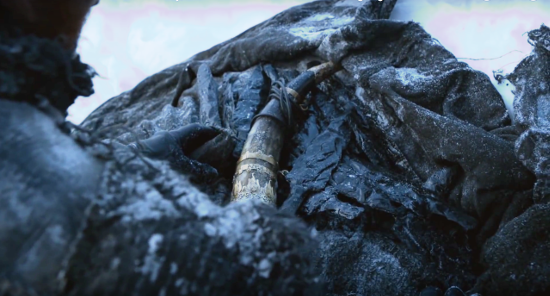 This Dragon-glass dagger was used during the production of the HBO series ‘Game of Thrones’ and was most prominently seen when Samwell Tarley, Edd & Grenn of the Nightswatch discover the bundle of ancient weapons buried in the snow at the Fist of the First Men north of The Wall. 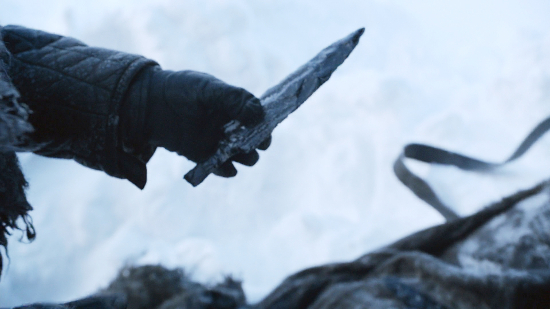 It’s then used by Sam when he manages to kill a White Walker single handed and again later when he gives it to Jon Snow for his voyage North of the Wall to recruit the Wildlings.